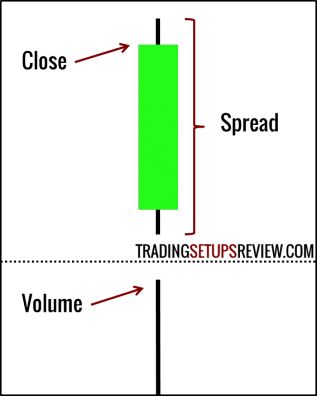 You have heard of Volume Spread Analysis and the value it might add to your analysis. But it sounds like a convoluted trading method with uncommon terms like “No Demand Bar” and “Stopping Volume”. Is VSA really that inaccessible? Together, let’s take the first step to understanding VSA. With this guide, you will find that VSA is an intuitive method after all. Price closed higher than the previous bar. Volume is lower than past two bars. If the market falls with decreasing spread and volume, the market is not interested in selling. Thus, it is not likely that the market will continue to fall. Price closed lower than the previous bar. This bar punched below the SMA and hinted at an impending bear trend. 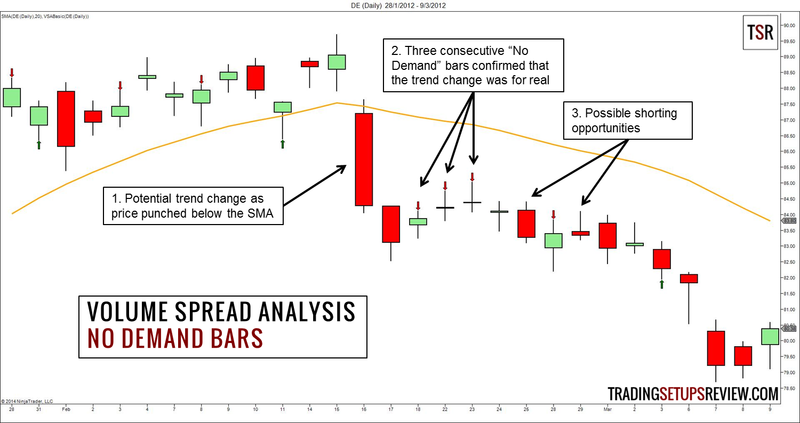 These three consecutive “No Demand” bars confirmed the lack of market interest to resume the bullish run. Hence, we had a great context for considering a short trade. The market was in a strong bull trend and remained above the SMA. 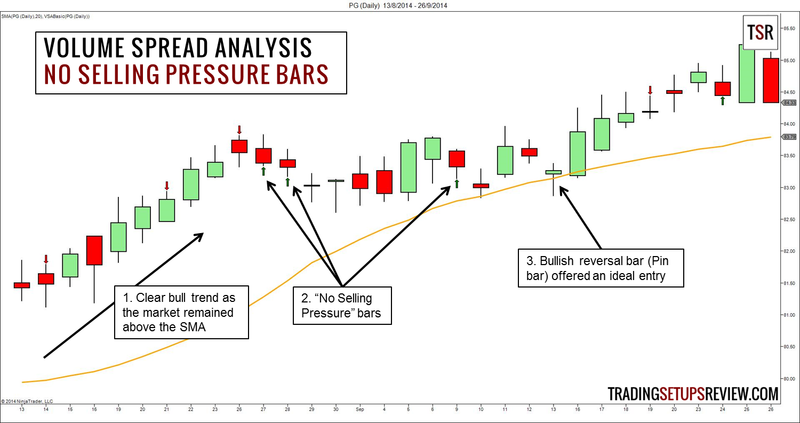 In this sideways pullback, we observed three “No Selling Pressure” bars. They hinted that the bears are not forthcoming, and the stage for a bullish retracement trade was set. This bullish Pin Bar offered the ideal setup bar. There are great discussions on VSA on Traders Laboratory and Forex Factory. To find information on VSA in popular trading forums with a click, try our Trading Forums Search Engine. There are many software that claim to use VSA techniques to help you trade better. I would not comment on their efficacy as I have not used them. But I am sure that no software will bring you trading success unless you truly understand the VSA principles. Hence, you should definitely learn as much as you can about VSA, before relying on a software for your analysis. This approach will make sure that you do not use the software blindly, if you do buy one. Price and volume giving conflicting signals? Master price before volume. 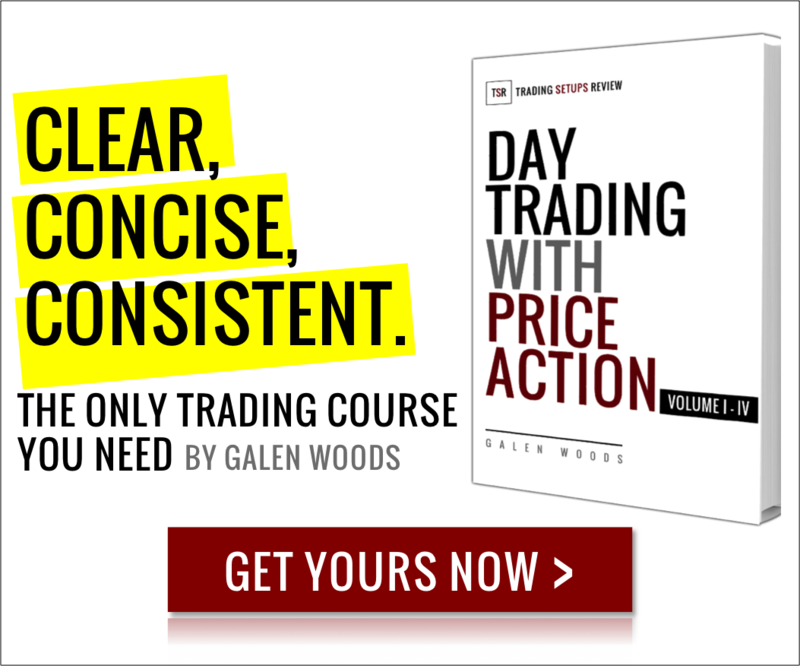 Learn more about my price action trading course. Always perplexed when Doji appeared near inflexion points like price cutting the sma, now a tool vsa to unravel some possible action, will try and revert. Glad to help. Good trading! May I ask how has your trading journey been using VSA? are there available indicators or strategy programme regarding vsa and above theory? You can google for the many vendors offering indicators based on VSA. I’m not familiar with them so I can’t provide the details. But you should definitely get one that’s not a black box. This means that the logic behind the indicators should be transparent to you. This is a sustainable option that’s friendly for learning VSA concepts. 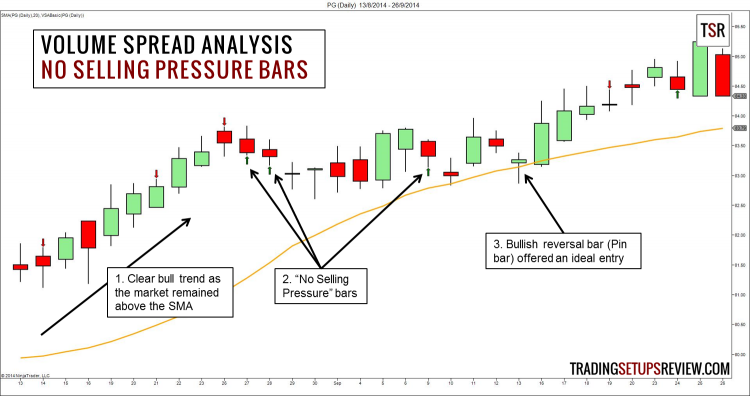 In the examples above, I used a bare basic custom indicator to find the No Demand and No Selling Pressure Bars. I’ll consider adding some parameters and including it in the TSR indicator Pack. Above article discusses VSA pointers very well and is in line with Wyckoffian logic and teachings of Tom Williams. However, the description of your course describes it as “Price Action” course. Do you incorporate ‘Volume Action’ in the course or is it excluded? My course focuses on price action. It’s important to understand price before studying volume. Hence, to avoid confusion, I’ve not included volume tactics in the course. On top of that, volume analysis deserves an entire tome on its own.